Directions for Computer Access: Go to the Reflex link and click the Login button. Then, type in mdickUPES and click on your student's name. Then, your student will need to use his/her unique password to access the program. While your student works, it's important that they keep at it until they get the GREEN LIGHT! Don't let students change games too frequently. This will slow them down. ***There is also a Reflex Math App that you can use at home with your students if there is a tablet accessible. It does not work well on phones. IPads or computers with the latest flash player work best. Area Models-How do you use them? Ray-An line with one end point and one arrow. A ray keeps going on and on in one direction only. Parallel Lines-Parallel lines will never intersect. Perpendicular Lines-Perpendicular lines intersect at 90 degree angles. Intersecting Lines-Intersecting lines cross at angles that are above or below 90 degrees. Area-The space inside a closed figure, or shape. PeRIMeter-The distance around a figure, or shape. Converting inches, feet, and yards. We will begin multiplication by exploring arrays, skip counting, and number sentences. Here is a PDF for printable flashcards to practice with your student. 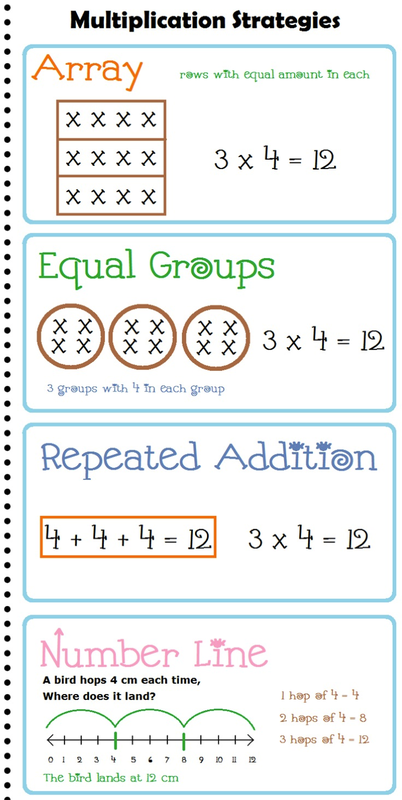 MULTIPLICATION ASSIGNMENT DEC. 13th and 14th! A MODEL MADE OF HORIZONTAL BARS USED TO REPRESENT PARTS AND WHOLES IN A PROBLEM. These two chapters will cover addition and subtraction up to 4 digits. 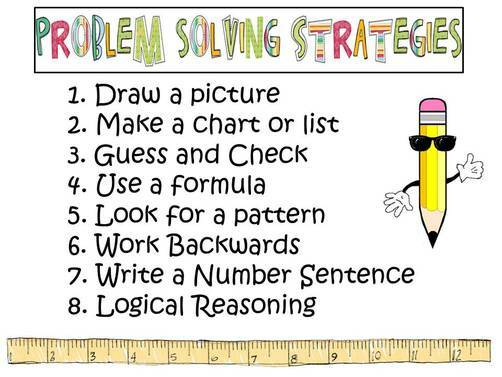 This chapter will teach students mental math strategies to help them add, subtract, and estimate in their head. ****Five and above, give it a shove. Four and below, don't let it grow! This chapter will explore counting, place value, and comparing and ordering numbers. Below is the vocabulary for the chapter. TWO THOUSAND, FOUR HUNDRED AND SEVENTY-EIGHT IS THE WORD FORM OF 2, 478. *NUMBERS ARE MADE UP OF DIGITS! IN THE NUMBER 2,478 THE DIGITS ARE 2, 4, 7, AND 8. A TABLE OR GRID SHOWING THE PLACE VALUE OF EACH DIGIT IN A NUMBER.